We are proud to announce that Sevda Topalova's Practice was awarded the 2015 Optometry Seattle Patients' Choice Award. We are a boutique eyewear shop. We cater to high fashion with our knowledgeable staff. We have an in-house lab, and our lab specialist can cut the most difficult lenses, i.e. the best in Seattle. We can do most lenses on the same day. At Optical-Nerve Eyewear Boutique, we are firm believers that you should not have to compromise style for functionality. Regardless of your visual requirements, we have eyeglasses and designer sunglasses that will allow you to see great, look great and feel great. Since all of our designer frames are priced for every budget, we cordially invite you to come in today and let us help bring out the Fashionista in you! 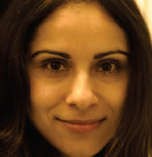 The Optical Nerve would like to welcome Dr. Sevda Topalova. She will be providing full service eye care, including comprehensive eye exams, contact lens fittings and red eye emergencies. 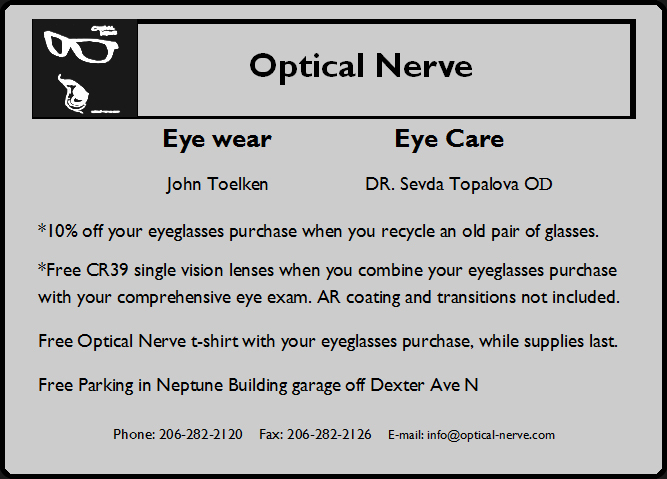 The Optical Nerve, your neighborhood eye care place.